Save money on your next laptop or PC purchase by using these handy online discount coupons. New Dell and Alienware laptop coupons have recently been added to CouponsOnLaptops.com, a handy site featuring all the latest online laptop and desktop coupons. Where the savvy online shopper will find great discount coupons from all the major laptop makers such as Dell, Alienware, Apple, Toshiba, HP, Sony and many more. These coupons can save the prudent laptop buyer up to $100s off the regular price. Recently added coupons include specials on the new Dell XPS 13 Ultrabook, Inspiron 14R and Inspiron 14z... including $275 OFF Alienware M17x, $149.99 off Alienware M18X and $255 off Alienware M14x gaming laptop. Plus, there is a very aggressive offer from Dell for an Inspiron 17R 17-inch laptop, featuring a 2nd Gen Intel Core i5 CPU, 6GB RAM, and 500GB hard drive - all for $579.99 after $169 coupon savings. This offer includes free shipping. In most cases, in order to get these savings, all the laptop buyer has to do is click the link. While in some cases, an actual coupon code has to be presented at the online checkout in order to receive the discount. "Using online laptop coupons is a great way to buy your laptop," says Titus Hoskins, a former teacher who helps run the site. "And it's not just the monetary savings, many times, these manufacturers will also offer special memory and hardware upgrades if you use an online coupon." This is a "win-win" situation for both parties, the manufacturer receives more sales and the customer gets a discounted price. Shoppers who use the Internet to compare these different prices and discounts, are the biggest winners of all. The main objective of CouponsOnLaptops.com is to give the potential laptop or PC buyer a very focused site, where the coupons are displayed without too much clutter or advertising. Shoppers can quickly see the different coupons displayed and move forward from there. 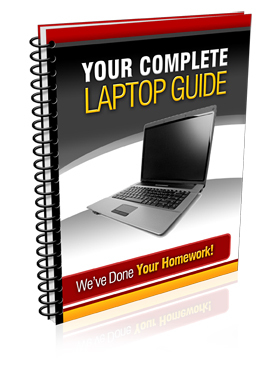 The special laptop coupon site can be found here: http://www.couponsonlaptops.com or download our comprehensive laptop buying guide here: http://www.laptopcomputerguide.org All products/companies mentioned above are registered trademarks of their respective owners and companies.